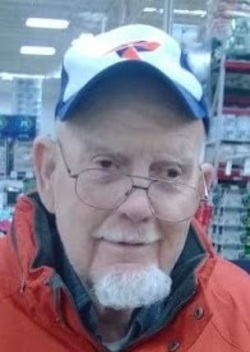 Arvin Massey, 89, of Rockford, IL, and formerly of Sioux Falls, SD, died Sunday, December 24, 2017, in Rockford, IL. Memorial services will be 1:00 p.m., Saturday, January 6, 2017, at Trinity Lutheran Church for the Deaf, 4801 E. 6th St. in Sioux Falls. Visitation with family present to greet friends will be one hour prior to the service at the church. Arvin William Massey, son of Lorren and Mildred (Vermillion) Massey, was born April 4, 1928, in Burton, NE and passed away, December 24, 2017 in Rockford, IL. He attended South Dakota School for the Deaf (SDSD) in Sioux Falls, SD graduating in 1947. On June 23rd, 1956 he was united in marriage to Alice M. Helberg in Des Moines, IA. Arvin was a member of Trinity Lutheran Church for the Deaf, Sioux Falls Association for the Deaf, South Dakota Association for the Deaf (SDAD), National Association for the Deaf, Senior Citizen Club for the Deaf (Sioux Falls, SD) Washington State Deaf Senior Citizens (Tacoma, WA) and Fraternal Association for the Deaf where he served for many years as treasurer. Arvin was an avid card player and enjoyed bowling. He loved traveling with his family including trips to Holland, Germany and across the United States. At the age of 83, he went skydiving. Arvin spent his working years at John Morrell & Co, retiring at the age of 59 in 1988. He also worked at South Dakota School for the Deaf as a houseparent. After retirement, he did volunteer work with the various clubs and associations he belonged to, adding Communication Service for the Deaf (CSD) to the many places he volunteered. He was honored several times for his volunteer work. In 1987, he received an Appreciation plaque for his work as a driver for CSD; 1991 the Albert J. Krohn Alumnus of the Year award from SDSD; 1993 Volunteer of the Year from SDAD; and an Award of Recognition for 50 years of work with SDAD. In 2002, Arvin was inducted into the South Dakota Association for the Deaf Hall of Fame for his community service. Grateful for having shared his life are his 3 children, Cathy (Roy) Levine, Rockford, IL; Kim (Jurren) Bouman, Auburn, WA; Bill (Kathy) Massey, Lakewood, WA. 6 grandchildren, Jeffrey Sells, Milton, WA; Joshua Sells, Henderson, NV; Peter (CJay) Levine, Rockford, IL; Katrina Sells, Milton, WA; Molly (Rob) Levine, Seattle, WA; Amanda Savage, Tacoma, WA. 5 great grandchildren, Summer Levine, Ingleside, IL; Phoebe Wade, Spanaway, WA; Shane Levine, Ingleside, IL; Kenzie Ledig, Milton, WA; Merrick Sells, Henderson, NV. 2 sisters, Leona Sanderson, Lubbock, TX; Donna Erickson, LeMars, IA. 3 brothers, Lorren (Margaret) Massey, Sioux City, IA; Ron (Mary) Massey, Mountlake Terrace, WA, Keith (Karin) Massey, Des Moines, IA. 2 sisters-in-law, Cari Helberg and Grace Lucht. Special friends Cindy Smith, Amanda Edens, Jenna DiLauro along with a host of nieces, nephews, and friends. Arvin was proceeded in death by his precious wife, Alice; his parents; a brother and his wife, Kenneth and Lois Massey; his wife’s sisters and husband; Anita and Gilbert Sandersfeld; Audrey Daniels and Lois Weibold, brother in laws, Paul Sanderson, Wayne Lucht and Ken Helberg. Thanks to George Boom Funeral Home of Sioux Falls, South Falls, SD and Russell Rains for the informaiton.